JUNE 21, 2018 UPDATE: Excited football fans must be planning to watch on TV or live stream FIFA World Cup 2018 Day 8 match between Argentina and Croatia on June 21. Argentina are coming out of a shocking 1-1 draw against Iceland in their opening match. Superstar footballer Lionel Messi missed out on a penalty against Iceland. On Thursday, Team Argentina will clash with Croatia in Group D. Croatia are one of the dark horses in this year’s World Cup. Croatia have just defeated Nigeria 2-0 in their opening game, and they would do their best to maintain the winning streak. Croatia and Argentina have come face to face only once before in the World Cup. That was back in 1998, when Croatia had to face defeat 1-0. It’s worth pointing out that Croatia will need only one win to make it to the Round of 16. When and where will the Argentina vs Croatia match begin? The Argentina vs Croatia FIFA World Cup 2018 match is set to take place at the Nizhny Novgorod Stadium in Nizhny Novgorod, Russia. The Group D game will start at 21:00 local time. That’s 2 PM ET on Thursday for people living in the United States. How can you live stream FIFA World Cup 2018 Argentina vs Croatia match? Fox Sports has the exclusive rights to broadcast and live stream FIFA World Cup 2018 matches in the US, including the Argentina vs Croatia one. Download the Fox Sports Go app on your iOS or Android device to livestream the game on the go. You can watch this match and all the upcoming ones as long as you log into it with a legitimate pay TV account. People living in the UK can download the TVPlayer app to live stream the match. You can also take advantage of other streaming services such as Hulu Live, DirecTV Now, and YouTube TV. You can sign up for their free trial to watch the matches, and then cancel the subscription to avoid the monthly fee. If you want to watch it on TV, tune in to the FS1 TV channel. Fox will also be airing the match on their local broadcast stations that are often free with a digital antenna. For people who enjoy Spanish commentary, there is Telemundo and NBC Universo. The Chinese state-run broadcaster CCTV will show you select matches through its CCTV5 and CCTV5+ channels. Here’s the list of all the matches you can watch via CCTV5 or CCTV5+. Fortunately, the CCTV will broadcast the Argentina vs Croatia match. You can also download the CCTV app to watch the matches on the go. Chinese video streaming platform Youku has acquired exclusive rights to live stream FIFA World Cup 2018 matches in China. Here’s the direct link to live stream all the matches in China. You can also download the Youku app. The FIFA World Cup finals will be played on July 15 in Moscow. England’s former captain and star footballer David Beckham has predicted that Argentina will lock horns with England in the World Cup finals. England last won the World Cup in 1966, and reached quarter-finals in 2006 when Beckham was the captain. England have defeated Tunisia 2-1, improving their chances of reaching the knockout rounds. However, Beckham warned that the next few matches are going to be crucial for England. Argentina could come face to face with England in the semi-finals or final. The FIFA World Cup 2018 officially begins on Thursday, June 14 in Moscow. There is only one match on the opening day as the hosts Russia take on Saudi Arabia starting at 11 AM Eastern Time. Football fans across the globe are drooling with excitement. Unfortunately, the United States failed to qualify for the FIFA 2018 World Cup. It doesn’t mean the US soccer fans will not be able to watch on TV or live stream FIFA World Cup 2018 on their mobile devices. Over the next four weeks, you’ll see the legends like Ronaldo, Messi, Neymar, and others fighting it out for the championship trophy. The previous champions Germany will do their best to retain the title. No team has managed to retain their crown in the last 56 years. Only time will tell whether Germany will be able to break that record. There will be a total of 32 teams, and the USA is not one of them. If you want to watch the FIFA World Cup 2018 on TV, your best option is Fox Sports. They have acquired the rights for English broadcasts of all the matches. Fox will be airing the games on its pay TV channel FS1 along with local broadcast stations that are mostly free with a digital antenna. Just find the FS1 or your local Fox station on your satellite or cable TV to watch the games. There are NBC Universo and Telemundo to provide you the Spanish broadcasts of the FIFA World Cup. You can’t always keep yourself glued to the TV to watch all the matches. Sometimes you’ll have to catch the action on the go on your smartphone, laptop or office computer. Here’s how you can live stream FIFA World Cup 2018 online over the next few weeks for free. You can download the Fox Sports Go app on your iOS device. They don’t charge you a penny for watching games via the app, but you’ll have to log in with a legitimate pay TV account to enjoy it. People living in the UK can download the TVPlayer app to watch games. Android users can take advantage of the same apps to live stream FIFA World Cup 2018 games as their iOS counterparts. Install the Fox Sports Go app or the TVPlayer app (only for people in the UK). 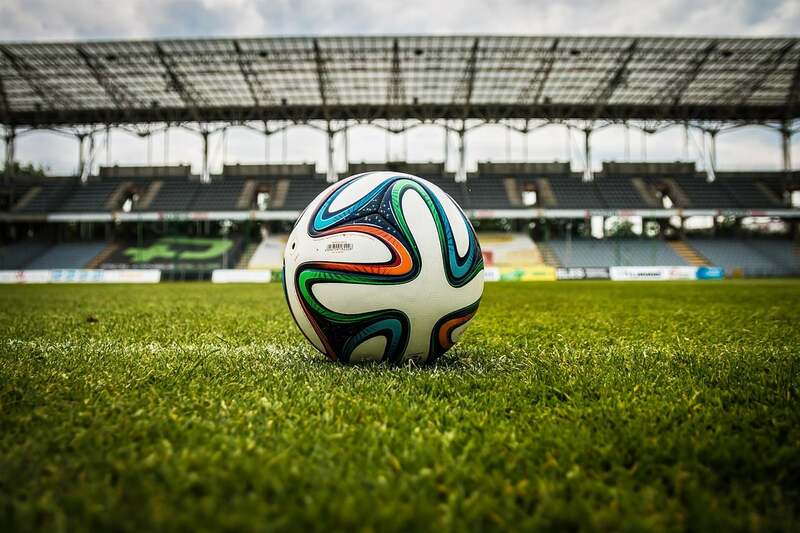 There are many other live streaming TV services such as YouTube TV, PlayStation Vue, DirecTV Now, and Hulu Live that offer packages with some channels broadcasting the World Cup matches live. Most of them offer a free trial period. You can take advantage of the trial to watch the matches for a week. But don’t forget to cancel the subscription to avoid the monthly fee. There are tons of options to watch the games online. Folks at FIFA have put together a list of websites that will stream the World Cup matches. If you want to watch them in English, your best source is Fox Sports. People who prefer Spanish should head over to TelemundoDeportes.com. The Russia vs Saudi Arabia begins at 11 AM ET, and you can watch it on Fox and Telemundo. Three more games – Uruguay vs Egypt, Morocco vs Iran, Spain vs Portugal – are scheduled for Friday. The final match is scheduled to take place on Sunday, July 15th. Please check with a lawyer before utilizing any methods mentioned here. This article is not legal advice.